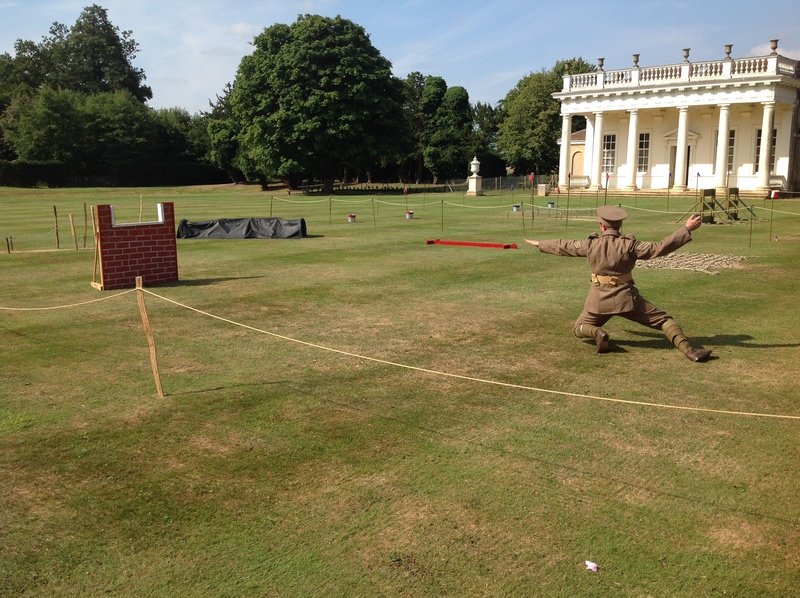 Put your young visitors through their paces with our WW1 assault course & rifle drill. Young Tommies will have a go at bayonet practice, balance beam, crawling under a cargo net, beneath barbed wire, through the blackout tunnel and learn how to throw a grenade through a window. 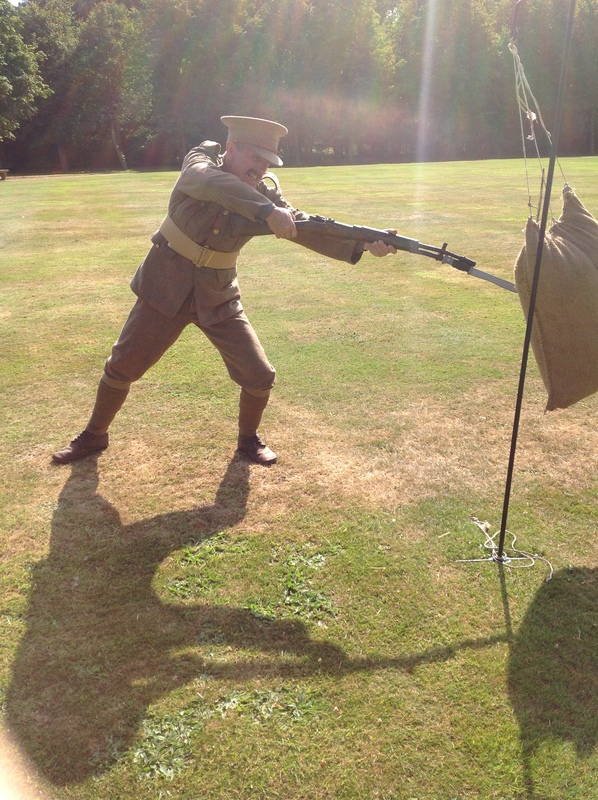 In our drill Tommies from age 8 up can learn how to drill WW1 style with a rifle. There is also a Tiny Tommies drill for 5-7 year olds. 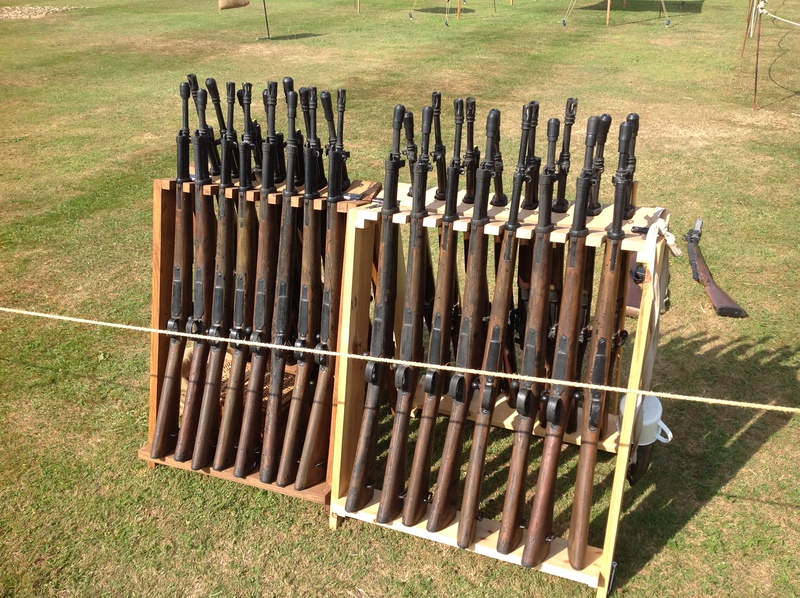 Don’t worry though, our barbed wire is actually string and our bayonet is made of wood, our guns are rubber or resin!